So throughout April we held a clip contest to win a GoPro Hero3+ Black Edition – to be in with a chance of winning all you needed to do was upload one of your own clips to Videvo. Today we randomly selected a clip of the 90 clips uploaded in total throughout the month, and we’re pleased to announce the winner is…..
Dan (AKA) NatureClip! 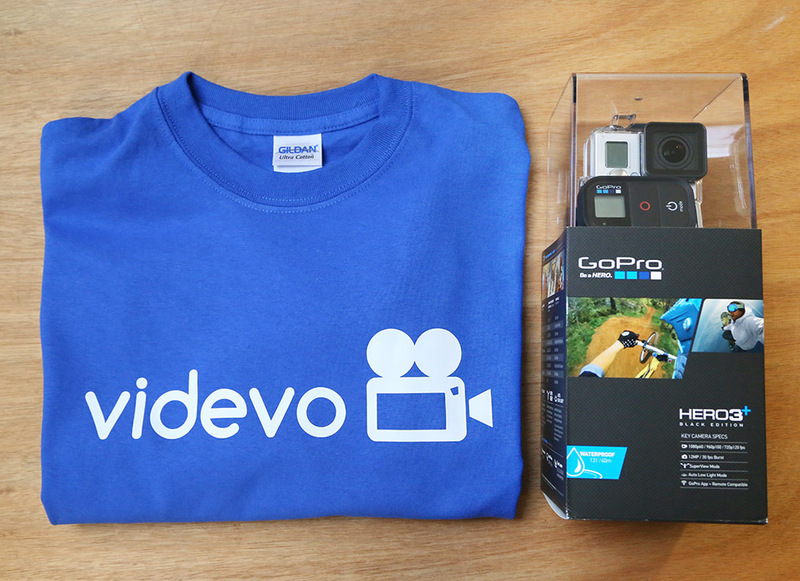 Congratulations Dan, you’ve won a GoPro Hero3+ Black Edition and a Videvo T-shirt! Here is the clip that Dan uploaded and randomly selected by Videvo team member Harry. All of the 90 clips uploaded were assigned a number, and then it was just a case of randomly selecting a number out of a hat (the old school way). Overall the contest was a great success, so don’t worry if you missed out, we’ll be running another one soon (potentially with a bigger prize). Thanks to everyone who contributed clips – you’ve helped bring the contest to life as well as making a valuable contribution to the Videvo community, and we can’t thank you enough for that. We’ll keep you updated with details on our next competition.